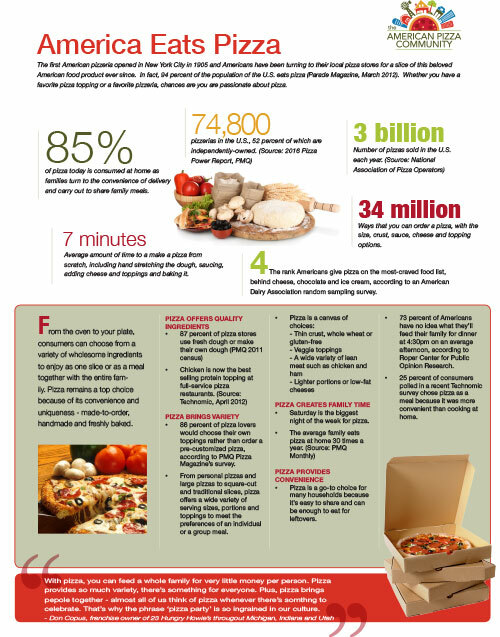 With more than 74,000 pizzerias in the U.S., chances are you are among the many families who choose pizza for their family meal at least once a week. 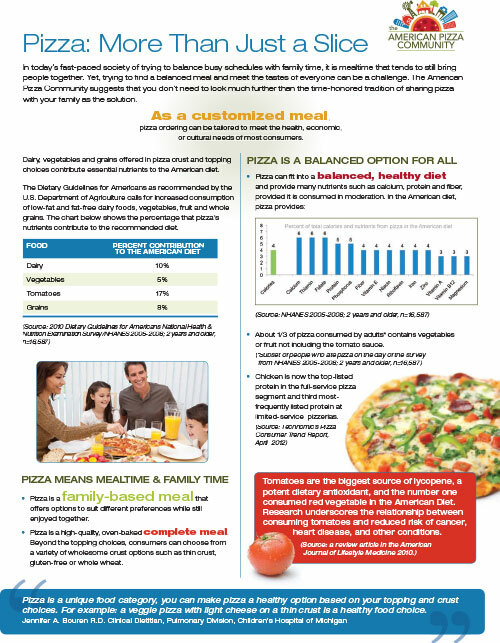 Pizza is one of the most commonly shared meals becaue it is highly customizable and easy to satisfy many different tastes. Pizza can also fit into a balanced, healthy diet and provide nutrients like calcium, protein, fiber and dietary antioxidants from lycopene. 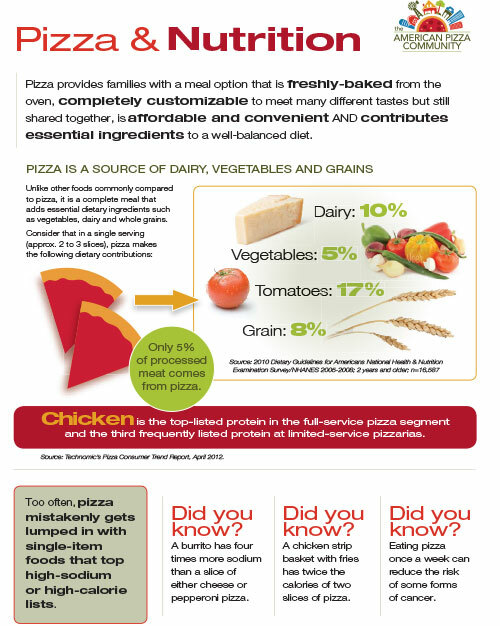 Unlike other foods commonly compared to pizza, it is a complete meal that adds essential dietary indgredients, such as vegetables, dairy and whole grains.